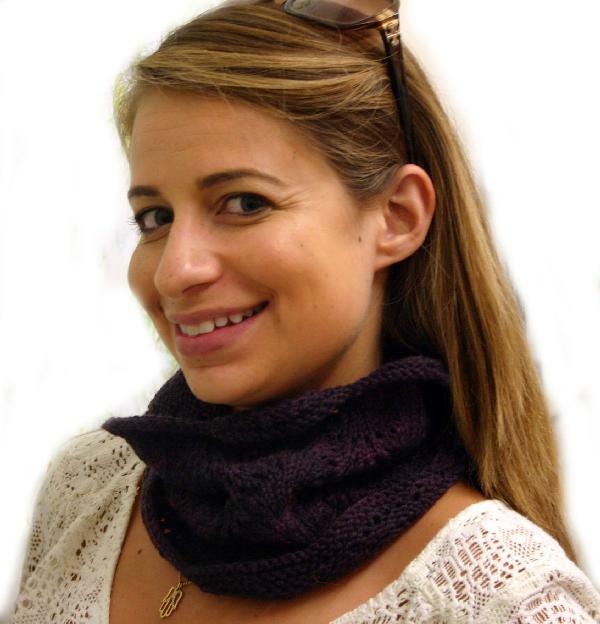 This easy to knit lace neck cowl features a sweeping feather and fan pattern and works up quickly on size 7 needles. 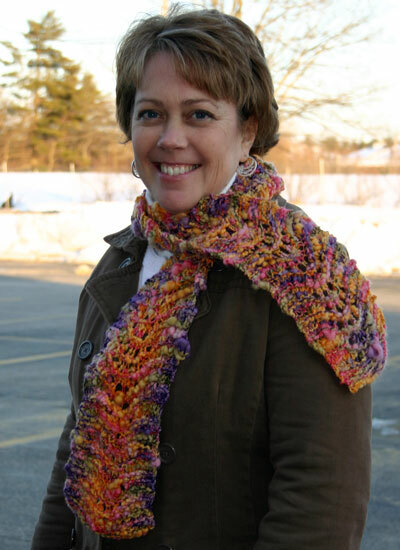 Shown in Ivy Brambles Enrapture (1 skein) color Royal Purple. 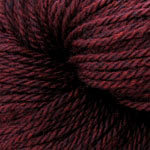 Yarn: Approx 165 yards DK weight yarn. 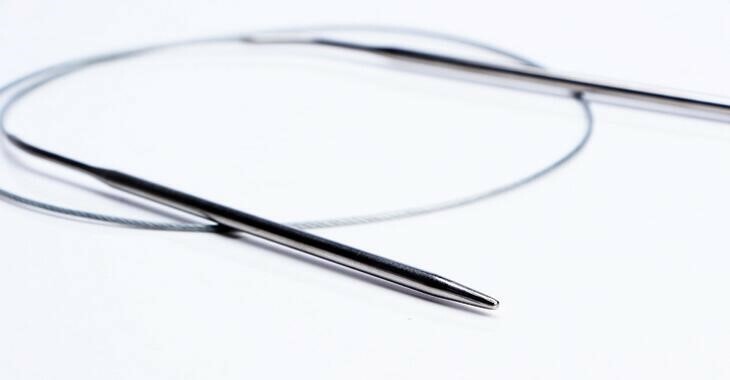 Needles: US #7 (4.5 mm) 24 inch (60 cm) circular knitting needles.